Eliminate the rent cheque & start paying your rent anywhere, anytime. 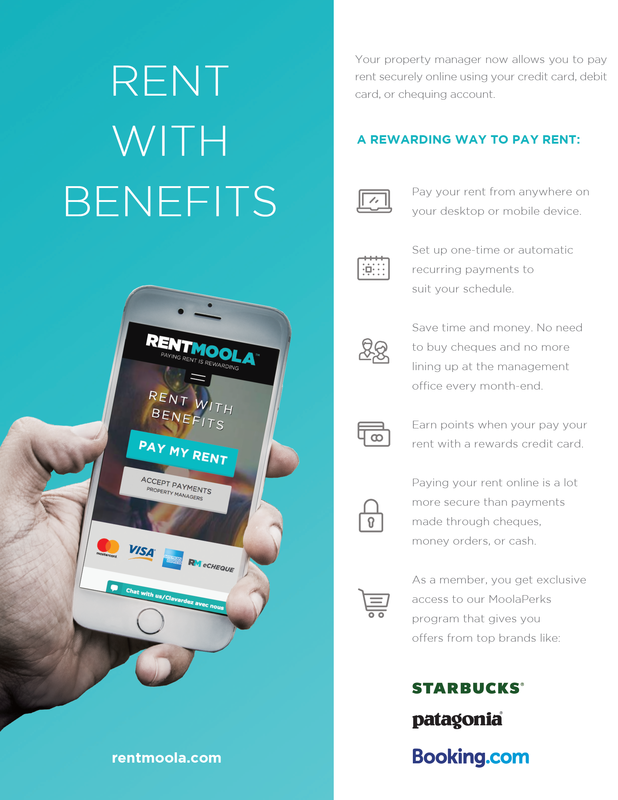 Simplify your rent payments through the easy-to-use RentMoola dashboard. Seamlessly schedule one-time payments each month or forget about them completely with monthly recurring payments. 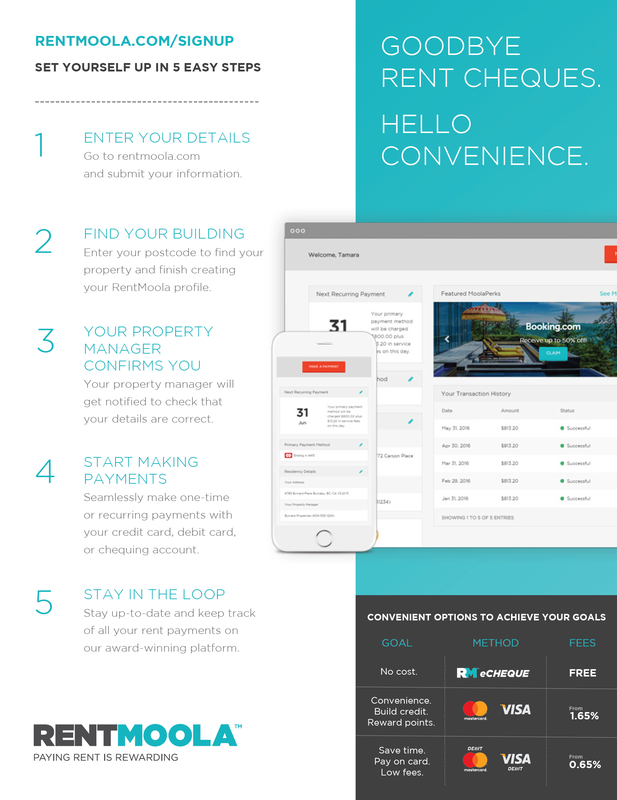 Create your tenant profile effortlessly in minutes. No commitments, no surprises, no sign up fees. Choose a payment method that suits you. We accept any credit card, MasterCard/Visa debit, and eCheque. Set up recurring or one-time payments and split rent with your roommates, too. We fully guarantee that your rent is paid on-time to your property manager or landlord. Access exclusive deals and earn extra points with your favorite rewards credit card. Enter for chances to win free rent, prepaid gift cards, and trips around the world.